Madrid, September 21, 2018. 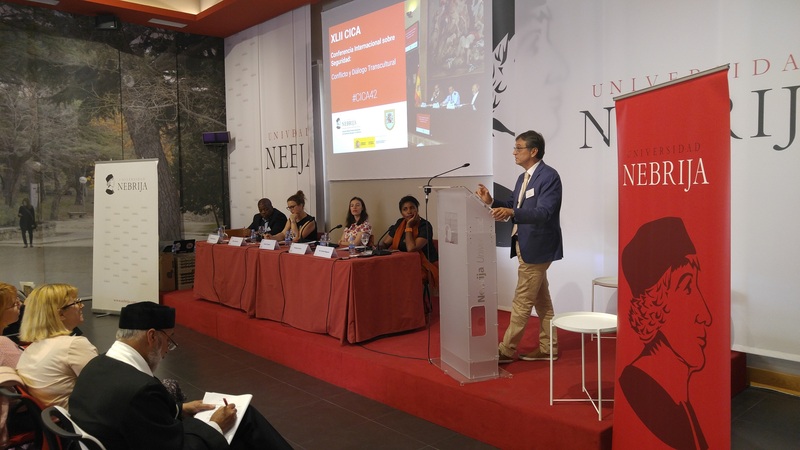 Madrid University Nebrija hosted the most important international Conference on conflict prevention in the period from September 18 to September 21. At the 42nd Conference “Conflicts and Transcultural Dialogue”, P.R.A. President, Predrag Vujovic, held workshop “How to communicate multiculturalism as an advantage, not a shortcoming”. – The goal of the Conference and the workshop guided by me, Vujovic said, is to provide solution for both Europe and the World. Presenting a strategy that implies the efficient cooperation of many important institutions, society creates a willingness to respect and live in the diversity of other nations, cultures, religions: an effective multicultural society. I am pleased that the workshop has generated so much interest, especially since we have agreed on the following joint actions. The Conference brought together leaders from the Institutes for Strategic Research, state institutions, Universities, heads of Governmental and non-governmental organizations, security and other experts, dealing with conflict prevention, multiculturalism, human rights from more then 30 countries. The present experts dealt specifically with the topic of solving the social problems caused by the migrant crisis in the world, with the task of finding solutions for establishing a successful dialogue of different cultures, with the aim of developing a healthier and better society.